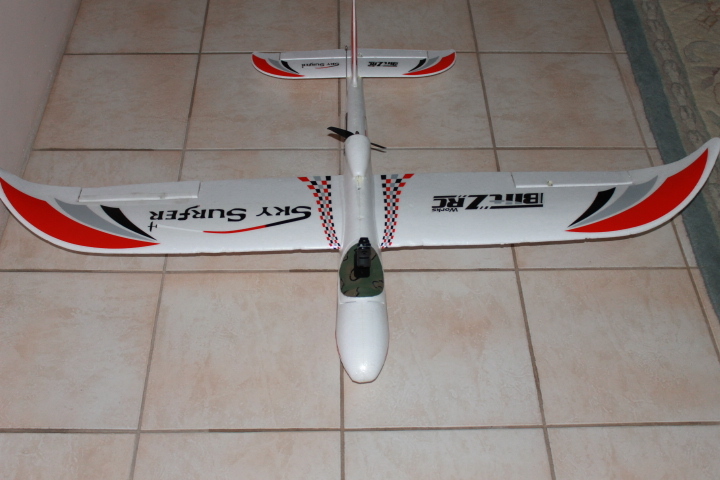 I want this fantastic airplane but Hobbyking has it on backorder for more than 2 months in the European warehouse! You can do anything with this plane and that's why i want it. Same thing happened here in Australia. When it was first released in the Aussie warehouse I took a day to decide if I wanted it or not and then when I went to purchase one they were out of stock! It took at least 2-3 months before they had them back in stock!! Its a very popular plane at a great price too. I had it in my wish list and as soon as it came out, I got one. You can look for other sources. The Sky Surfer is the same airplane under a different name. I presently still own my bixler. I modded it so much that you can barely tell its a bixler. I recently UPGRADED to a Skywalker sirius from bev rc. This plane has been dubbed the sky surfer on steriods and with good reason. Larger canopy to allow more electronics and bigger batteries. Also has more clearance and can spin a 7" prop without mods. It also has the same polyhedral but has about 4-6" larger wingspan. This kicker is its in the same price range if your buying the bixler kit. It has landing gear and balsa insert for quick cg adjustment. Not to mention air scoops and a thick nose which can house your camera for fpv. Take a look at bev rc. Its never backordered. You can see what i did to her on my youtube channel www.youtube.com/disturbed730 I believe its the last video. 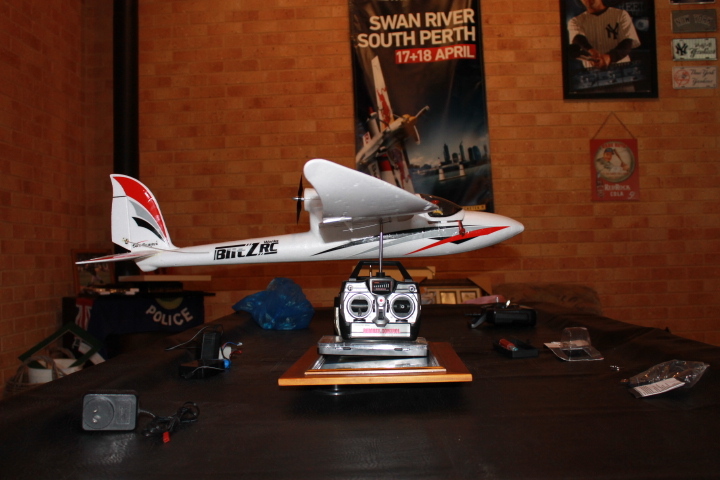 I have some of bixlers fpv as well. Hope this helps. I bought the Skysurfer from Banana Hobby. I guess you are aware that it is the same plane with a couple of minor modifications, such as a pilot figure in the canopy and fixing screws to mount the wings without glue. The day that I placed the order I found dozens of forum articles all over the net bagging Banana Hobby for every thing from service thru to products. I respect others opinions but have to say I was really impressed with them. Firstly I wrote to them about a more expensive model that I was prepared to buy, but they advised against it as I was a beginner and suggested the Skysurfer which was much cheaper. I have now bought 2 from them and have no complaints about the service or the product. I would strongly advise that you at least look at this option, as I really love the plane. I have no problems considering another purchase from them....I only have to convince the house hold Treasurer! There is another option to the Bixler and similar type s of planes...it's called the AXN Floater. I believe it is available from HobbyKing. This plane seems to be very popular as anyone who has seen the XJET Youtube channel can tell you. The International warehouse has both the kit and the arf bixler in stock currently. And the kit is ten dollars cheaper than the Bevrc kit version. I do like to idea of external servos to free up internal space though! Easy mod on the Bixler I would think. I almost got the AXN but really wanted the extra room for FPV Gear, so I'm happy I got the Bixler over the AXN. Mind you the AXN flies and tracks much better than the Bixler. Bruce (from XJET) has made up a cool backpack for the AXN that negates the need for much space inside the canopy. I'll stick with my Bixler though. I will say that with a motor upgrade, the Bixler is just as good as an AXN flight-wise. The motor I'm using is: http://www.leaderhobby.com/product.asp?ID=9394001224242, although it wouldn't do any harm to put a higher kv motor in.